We can provide our clients with Self Seal Bags, which are used for carrying garments, food, medicines and other domestic items. These bags have vapor and moisture barrier properties and can be provided to our clients in different sizes, thicknesses and densities as per their requirements. Sakthi Poly Pack is a prominent business entity in industry came into existence in the year 1992 with an aim to offer a high quality range of packaging bags and allied products. With its offices based in Chennai, Tamil Nadu (India), our company is executing its all corporate business activities as a Sole Proprietary business. Being a reliable name in industry, our company is offering products such as Packaging Material, Plastic Cover, Carry Bag, Packaging Bag and many more to its customers. Our offered products are derived from high grade fabric which provides the bag a good quality apart from making them long-wearing. It also makes them a naturally decomposing and recyclable product. 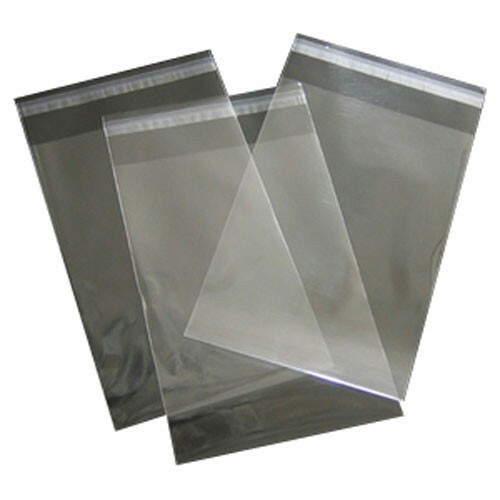 Our company is one of the leading organizations in industry known to provide a rich array of Low Density, High Molecular, Polypropylene bags and packaging solutions. We endeavor to provide total packaging solutions for our customers from different industrial and commercial areas. Our products are made from non-toxic raw materials processed by utilizing advanced technology. We believe in delivering quality product batches on time on budget and within deadlines.